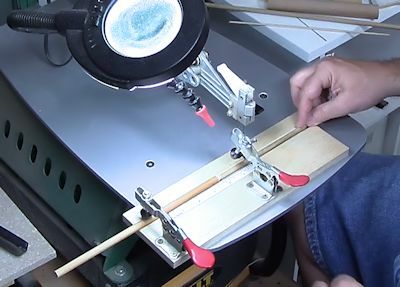 Scroll Saw Dowel Cross Cut Jig. Final Version. 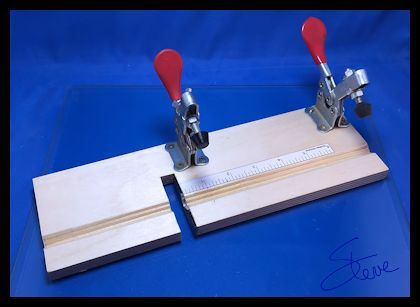 This is a simple dowel cross cutting jig for the scroll saw. It features a hold down clamp, stop block clamp, steel insert to prevent wear and a printable right to left tape measure. For this project to be clear you need to watch the video linked below. 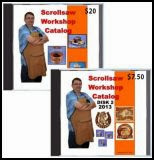 The video will give you the details you need to build and use the jig. The jig is for making consistent and repeatable cross cuts of different size dowel rods. You won't use this jig every day but when you do it makes the job easier. You don't have to add the clamps to use the jig. They add convenience but they are not that cheap. You just have to decide if you would use the jig enough to make them worth the price. On Amazon they are about $8 apiece. 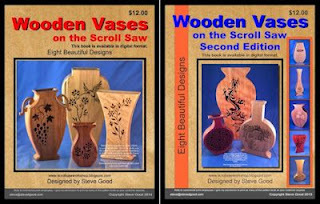 Woodcraft sells them for $14. This style clamps comes rated for different pounds of force. This application requires the lowest rating and they are cheaper. If you are readingthis in the email newsletter you may not see the video. Click this link and watch it in your browser.